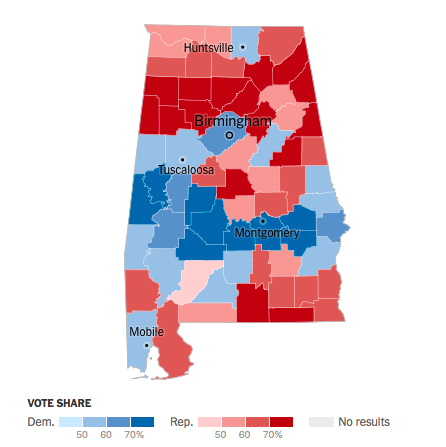 If you listened to or read much commentary Tuesday night as the election results were rolling in from Alabama, you might have heard reference to the “Black Belt” in that state. 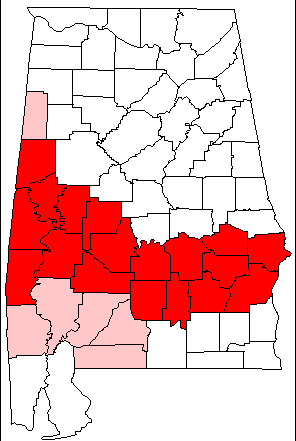 The Black Belt is a region of the U.S. state of Alabama. The term originally referred to the region’s rich, black topsoil, much of it in the soil order Vertisols. 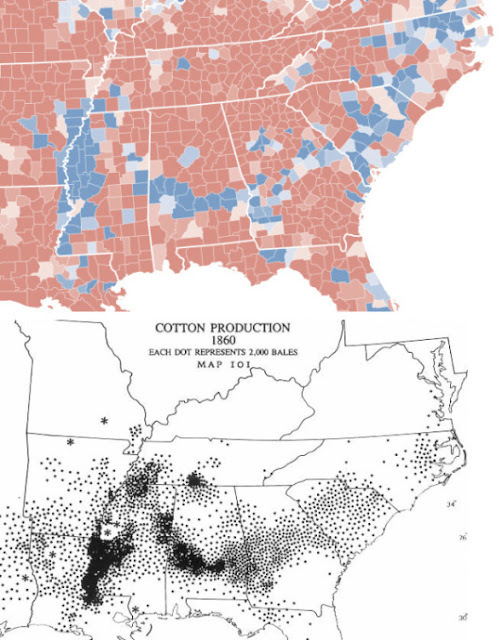 The term took on an additional meaning in the 19th century, when the region was developed for cotton plantation agriculture, in which the workers were African-American slaves. After the American Civil War, many freedmen stayed in the area as sharecroppers and tenant farmers, continuing to comprise a majority of the population. The sociological definition of the “Black Belt,” as related to this race, refers to a much larger region of the Southern United States, stretching from Maryland to Texas but centered on the Black Belt of uplands areas of Georgia, Alabama, Mississippi and Louisiana. In the antebellum and Jim Crow eras, the white elites of the Black Belt were powerful in Alabama state politics. Rural elites continued to exercise power in state politics through the 1960s, as they did not redistrict after 1901. Montgomery, the Black Belt’s largest city, has been the capital of Alabama since 1846. Montgomery and Selma and other parts of the Black Belt were important centers of public activism during the Civil Rights Movement from the 1950s to 1968. Since the black population gained the renewed ability to exercise their franchise after 1965 under the Voting Rights Act, the voting patterns of the African-American dominated Black Belt, where voters mostly choose Democratic Party candidates, have been in contrast to those of majority-white areas of the state. In Greene County, a small area that is 80 percent black and that Martin Luther King Jr. frequented in his Poor People’s Campaign, the turnout reached 78 percent of that of 2016, an incredible mark given that special elections and midterms usually fall far short of general-election marks. Perry County, also an important mostly black site of voting-rights battles of old, turned out at 75 percent of 2016 levels. Dallas County, whose seat is the city of Selma, hit the 74 percent mark. And while the exact numbers aren’t in for all of the majority-black or heavily black counties, black voters appear to have favored Jones at rates close to or more than 90 percent. As we read stories about why Roy Moore lost this election, there is a general assumption that the allegations about his sexual abuse of teenage girls tipped the scales enough to give Jones the win. There is probably a lot of truth in that. But I have a hunch that the overwhelming turnout in Alabama’s Black Belt for a mid-December special election had a lot to do with the fact that Moore has consistently been a stone-cold racist in both word and deed. In addition, he was running against the guy who prosecuted two Ku Klux Klan members for the Birmingham church bombing. As such, Moore ran into some powerful Alabama history on Tuesday, which played a role in his demise. UPDATE: After I wrote this, I came across the story of Perman Hardy, a perfect example of what happened in the Black Belt of Alabama on Tuesday. “That’s my goal is to make sure everyone votes. That’s always been my goal. This is what I do every election,” she said as she steered her forest-green Chevrolet Tahoe through Collirene, a rural area that was once home to several cotton plantations that employed generations of slaves and sharecroppers. Attorney General Sessions aligned himself with a host of deplorably racist practices.